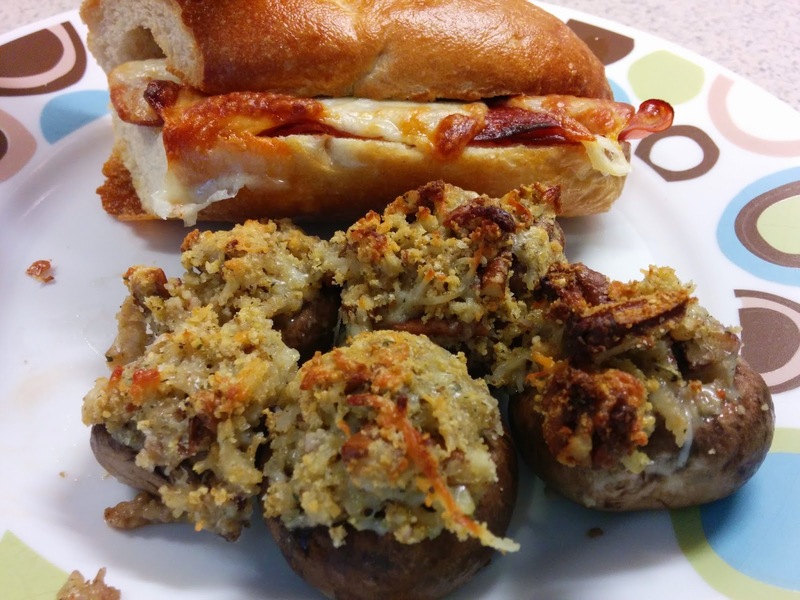 I love stuffed mushrooms, but they often have seafood inside, and I'm not a huge shellfish fan. So years ago I concocted my own cheesy recipe. They've even won over die hard mushroom haters, so give them a try! Anything filled with cheese can't be bad, right? Wash mushrooms and remove stems, pat or lay on dish towel to dry. Blend all ingredients except mushrooms in small mixing bowl. Grease 9" round cake pan with a small amount of olive oil. Using a soup spoon, scoop up some stuffing and smoosh it into a mushroom cap. 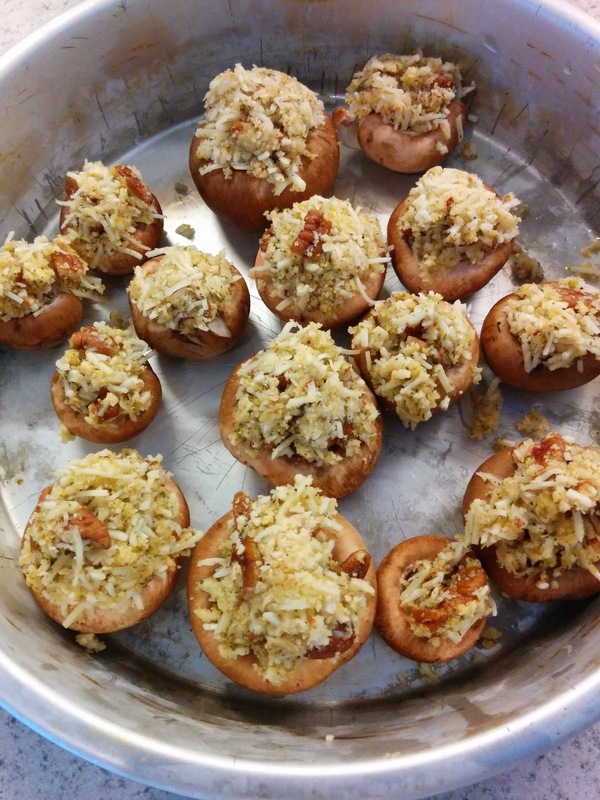 Repeat with a smaller amount of stuffing so each mushroom has a mound of stuffing. Place in greased pan and bake 20-25 minutes, until stuffing is golden brown and mushrooms are tender. Another option is to make this recipe with only 10 ounces of mushrooms, as I did today. Follow the directions as above, then push all the mushrooms together against the side of the pan, or in a smaller pan. Add the extra stuffing as a layer across the top for a doubly delicious recipe.